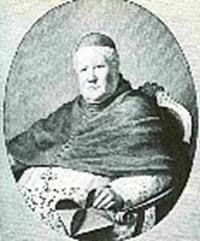 This heroic Pope, born Gioacchino Pecci, who had one of the longest pontificates in history of the Church, was born in Carpineto Laziale in 1810, where his family, originally from Siena, had moved a few centuries before. The family belonged to the rural gentry. His father was a commissioner of war and colonel. Already in his youth Vincenzo Gioacchino Pecci distinguished himself as a gifted boy with a particular fondness for the study of the Latin language. In Perugia, where he fought the Carbonari and the liberals. In 1843 he was elected Archbishop and went to serve the Church as nuncio in Brussels. 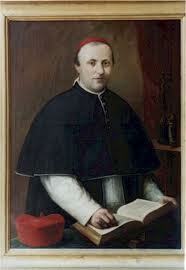 Appointed Bishop of Perugia in 1846, in 1853 he was created a Cardinal, in 1877 Camerlengo of Holy Roman Church, and finally after the death of Pope Pius IX he was elected Pope in February 1878. After he confessed at San Giovanni Laterano, Cardinal Pecci returned to the Vatican with all the his documents prepared for the conclave. As being approached by Cardinal Consolini, the prelate said to him: "My vote is for your eminence," and Pecci said: "Don’t you think of my poor health? The papacy is too heavy for me." Cardinal Consolini replied: "My lord, it takes a Cyrenian." Pecci went away nervously. 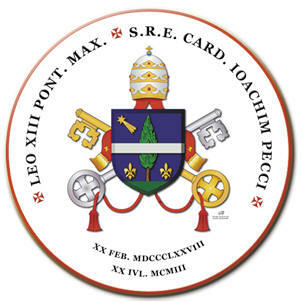 The Pontificate of Leo XIII was full of prestigious measures: the encyclical Aeterni Patris in 1879 Thomism was declared as the "official" philosophy " of the Catholic Church. The biblical studies were encouraged and the doctrines of Vatican I were reaffirmed. 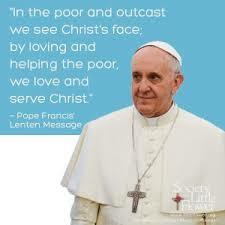 His position against socialism, liberalism and Protestantism was always firm. He wrote eighty six encyclicals considered as very rich sound and with timeless teachings, including the famous Rerum Novarum and formulated the foundations of the Social Doctrine of the Church. The encyclical expresses a condemnation of socialism, the theory of the class struggle, the condemnation of freemasonry, preferring that the social question is answered by the combined action of the Church, the State, employees and employers. The encyclical was made possible through the writings of the precursors of economic personalism: the Jesuits Luigi Taparelli D'Azeglio and Matteo Liberatore. The second was one of the drafters of the document along with the Dominican Cardinal Tommaso Maria Zigliara. The ideas of Rerum Novarum were resumed, integrated and updated during the twentieth century through Quadragesimo Year of Pope Pius XI, Mater et Magistra of Pope John XXIII, Populorum Progressio of Pope Paul VI and Centesimus Annus of Pope John Paul II. The Leonine pontificate took place in a very hot climate, and was faced with difficulties and attacks from all sides, the anti-Catholic persecution of Bismarck, the 'anti-clericalism of the Third French Republic,' the hostility of the Italian government toward Catholics, etc. 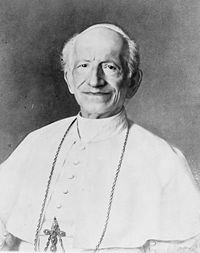 .. .
Leo XIII is also known for being the first Pope, after a thousand years of history, not to exercise temporal power. In this sulphuric atmosphere, full of evil attacks on the Church, the Holy Father was found to be involved in a shocking fact that occurred during the celebration of Mass on 13 October 1884, he heard a sort of supernatural dialogue outlining the fate of the Church during the Hundred Years from there to come. Leo XIII heard two voices that seemed to come from near the tabernacle, a serene and gentle one, the other rather hoarse and rough. 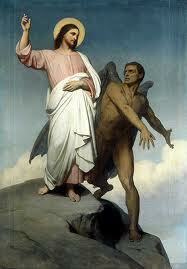 He recognized that the gentle and kind voice was that of our Lord and the other was of the adversary. The guttural voice speaking with excessive pride to Jesus. I can destroy your Church. Yeah? Then go ahead, do it! To do that I would need more time and more power. How long and how much power? "From 75 to 100 years and a great deal of power to all those who will be at my service. " You'll have the time and you will have this power. Give them what they want. 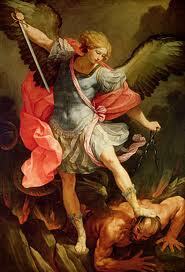 Such was the dismay and the sense that Leo XIII hastened to draw up a prayer to Archangel St. Michael for the protection of the whole Church. Jesus in His infinite Mercy had clearly wanted to warn us. The Pontiff wanted this powerful prayer to be recited at the end of each Mass, unfortunately this essential provision was rejected with the advent of the liturgical reforms of the sixties. A few months before his death, the Pope engraved on a disc some prayers and an apostolic blessing thanks to the invention of the phonograph, the word of the Pope was able to get to Catholics all over the world. His pontificate lasted 25 years, even if at the time of his election, he seemed to many as looking old, tired, and sick. The Pope was told: Among his friends circulated a joke: "We thought we were electing a Pope, we have elected an Eternal Father." 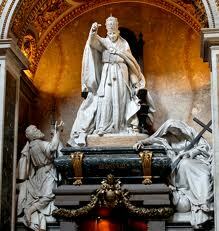 Leo XIII was buried in the Archbasilica of St. John Lateran.